THE Winchester and Driftwood designs have taken centre stage for Choice Homes this year, with the pair currently highlighted as the company's most popular designs and strongest sellers. The designs intend to maximise the use of space within the Gold Coast's newer developments, where block width, length and overall square metrage can pose challenges. 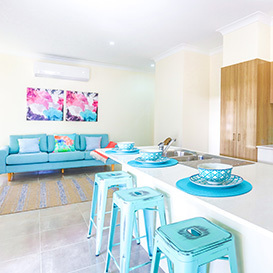 Originally designed for the Leda Living Display Village in mid-to-late 2015, the Driftwood design has a 12-week build time and caters to lot sizes of 425m2 and above. Featuring four bedrooms, ensuite to master with walk-in robe, open-plan family area, dining and kitchen, covered outdoor entertaining area, the design also has a double lockup garage with internal entry. 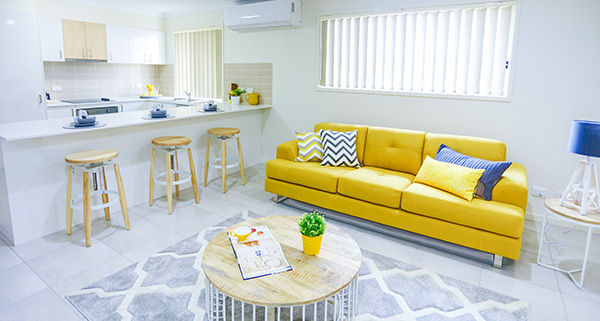 Choice Homes managing director Troy Knight says the latest display homes highlight the company's well-founded consistency in providing quality family homes, with a fixed-price budget completed on or before time. 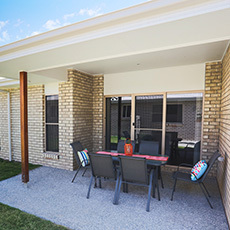 "We are proud to build these display homes within 12 weeks from receiving council approved plans and inside the display village's construction timeframes," says Troy. "Our clients want four bedrooms, two separate living areas, double garages and quality specifications completed to turnkey. "These are smart and modern facades that achieve a homely feel without being over the top." Pinpointed from trends in smaller blocks, the company says it listened to what the clients wanted and tailored these designs when they compared these to display home sales. Choice Homes project manager Ben Peasley also highlights the importance of embracing the innovation of social media as a key tool for Choice Homes receiving feedback from consumers. An impressive resume including delivering 6000 homes in Queensland over the past 22 years, the family-owned and operated builder has earned its reputation as the 'company that built the northern growth corridor'. For the original article written by Business News Australia - Click Here.